The Rahma Free Health Clinic provides free health care services to Syracuse’s Southside neighborhood. Its accompanying Edible Forest Snack Garden extends these wellness services beyond the walls of the clinic, utilizing 1/5 acre of land as a source of nutritious food and education to clinic visitors and local residents. The garden site is unique in that it was designed and developed according to the ethics and principles of permaculture. It is home to primarily perennial plants, including berry patches, fruit trees, vegetables and herbs. The Rahma Forest is open-access, welcoming all people to explore, snack, and garden. The harvest is shared amongst all participants and there are no annual garden fees. Rahma holds monthly volunteer days during the spring, summer, and fall, which are great opportunities to get involved. In addition, the garden is a participating site in Clean-Up ‘Cuse every spring, and sometimes hosts workshops. For more information, visit the Rahma Edible Forest Snack Garden Facebook page (https://www.facebook.com/pages/Rahma-Edible-Forest-Snack-Garden/1434315193475219), the Alchemical Nursery webpage (www.alchemicalnursery.org), and search for their hashtag #RahmaForest on Twitter and Instagram. 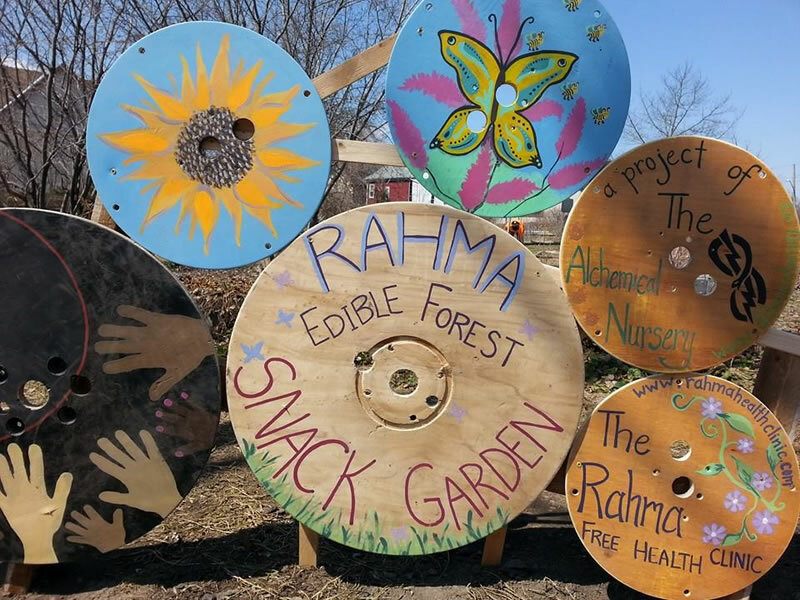 To read more about the Rahma Garden, check out this article published on Syracuse.com (http://www.syracuse.com/living/index.ssf/2015/02/permaculture_flourishes_with_a_cornucopia_of_public_produce.html).